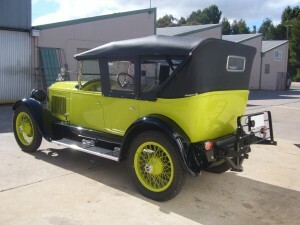 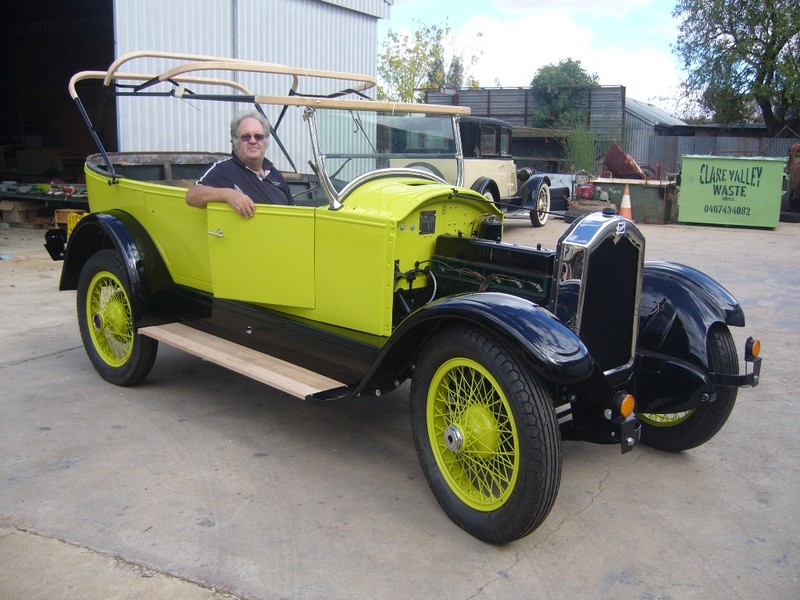 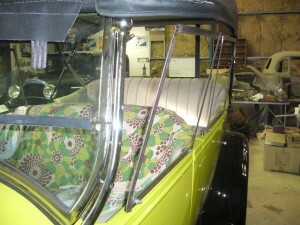 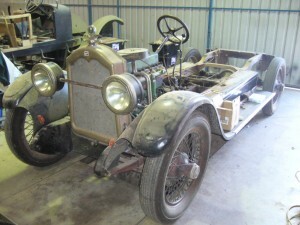 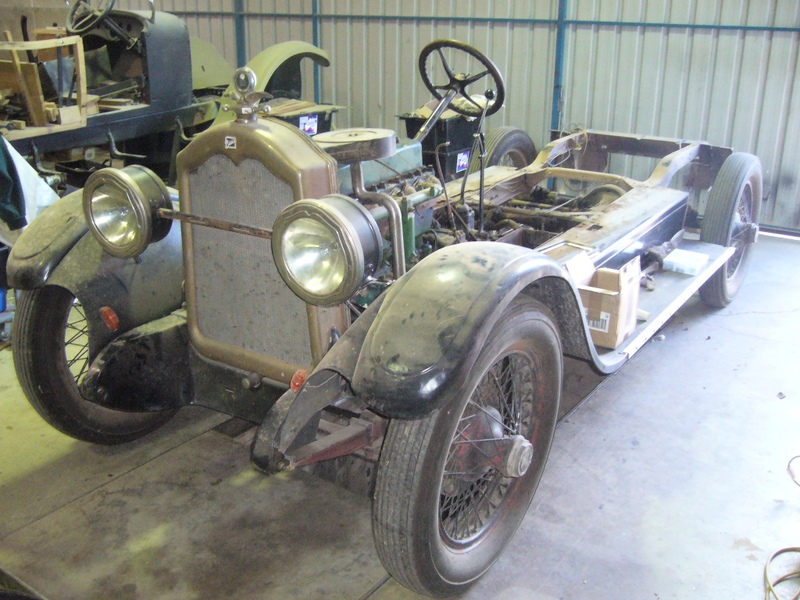 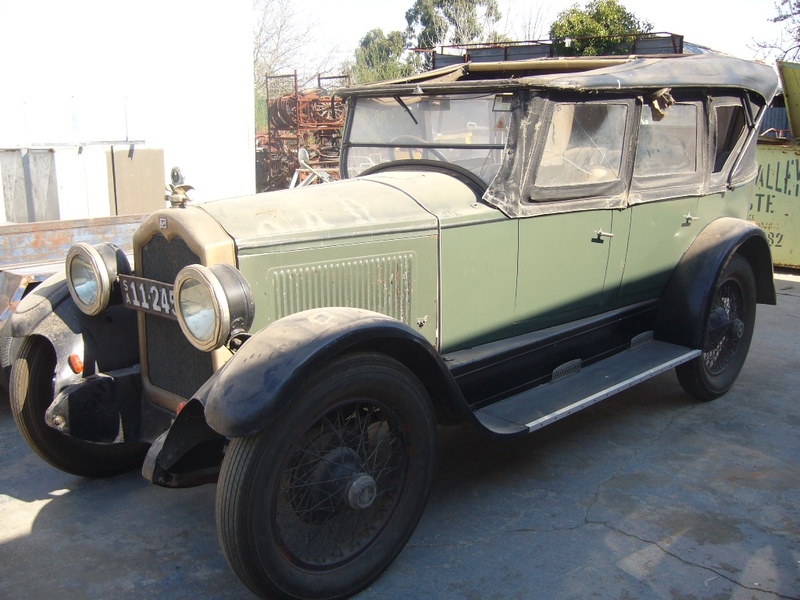 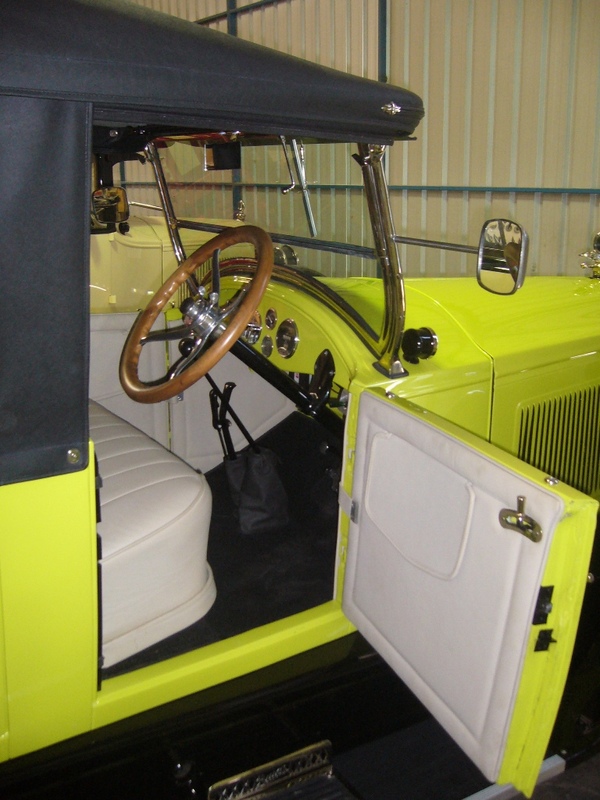 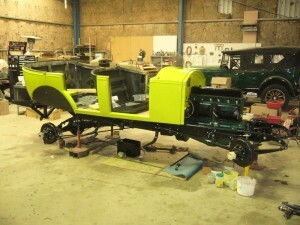 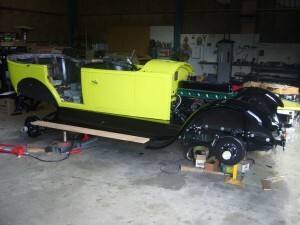 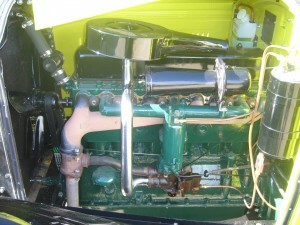 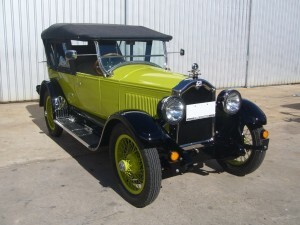 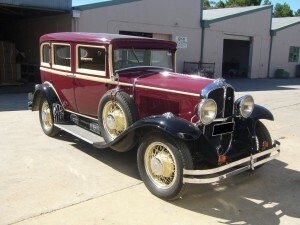 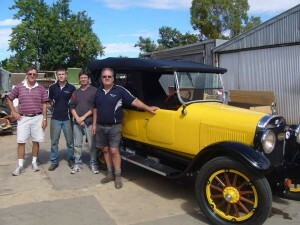 1925 Buick as delivered to Goode Restorations. 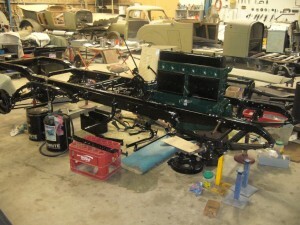 Chassis with the body removed. The rear tub was removed to be sandblasted. 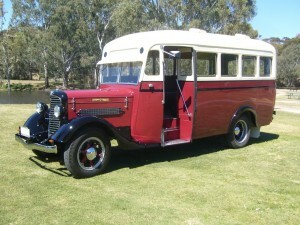 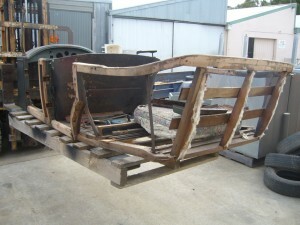 The body has all original wood and is in excellent condition. 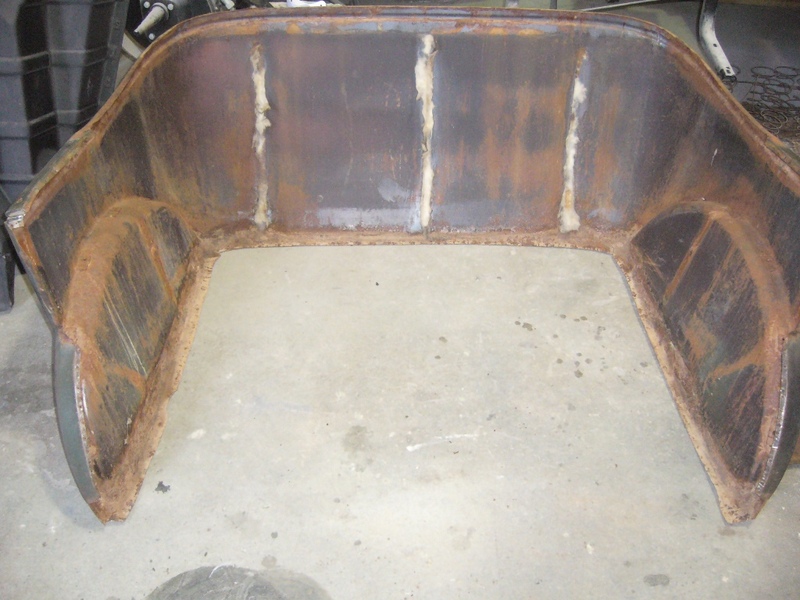 The rear tub before sandblasting showing the rust around the lower edge. 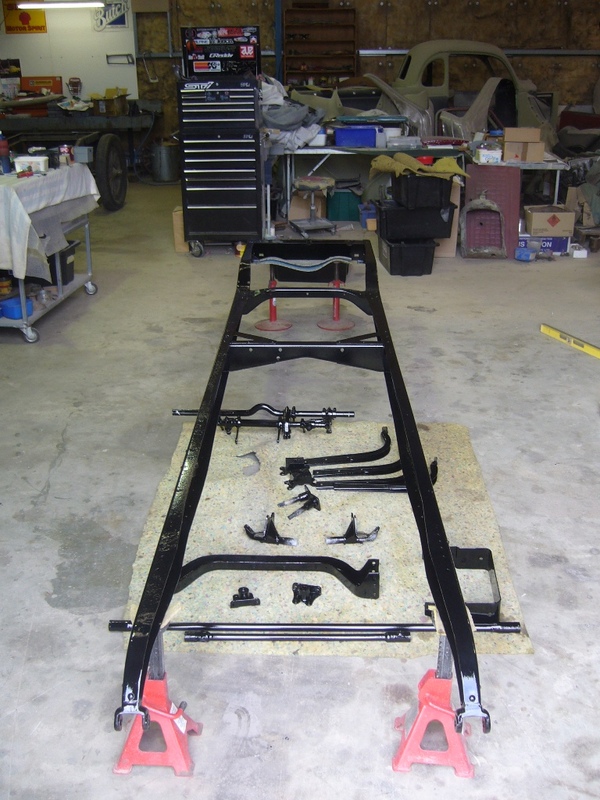 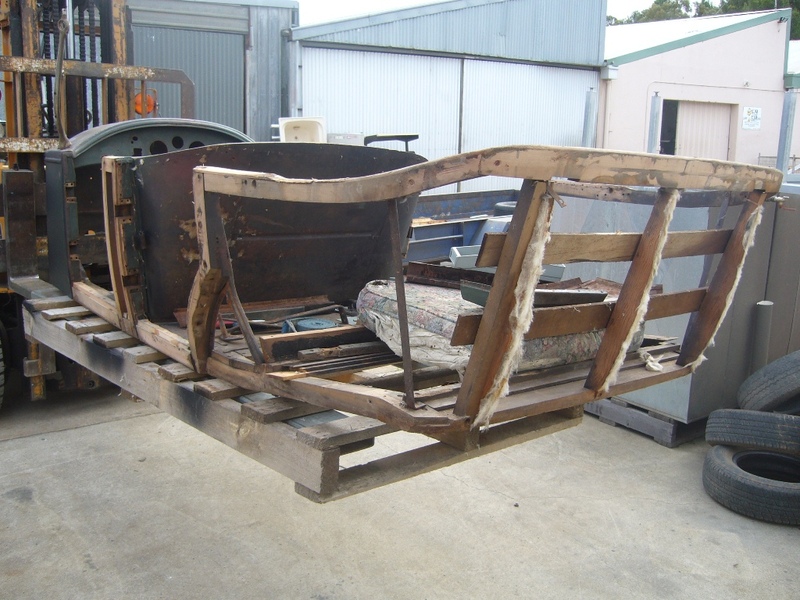 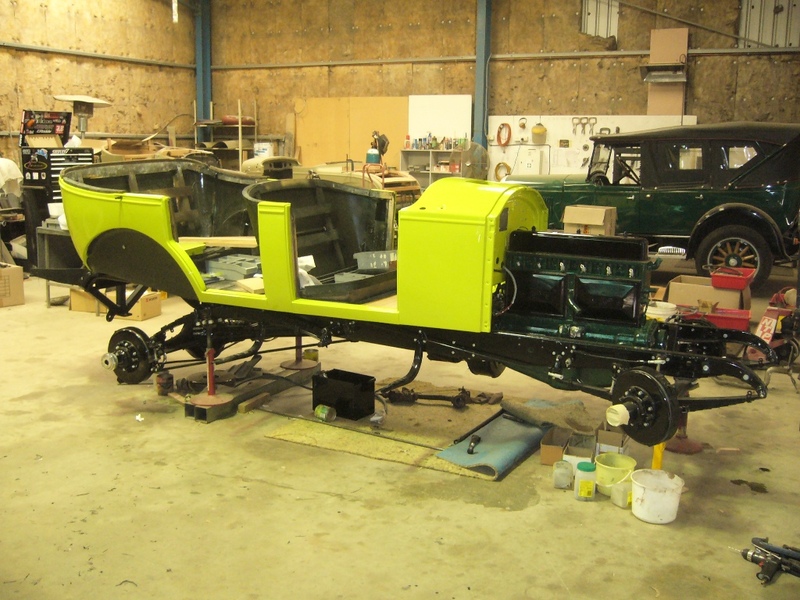 Chassis painted after sandblasting, ready for reassembly. Chassis with the engine, gearbox, differential and suspension fitted, ready for body to be lifted on. 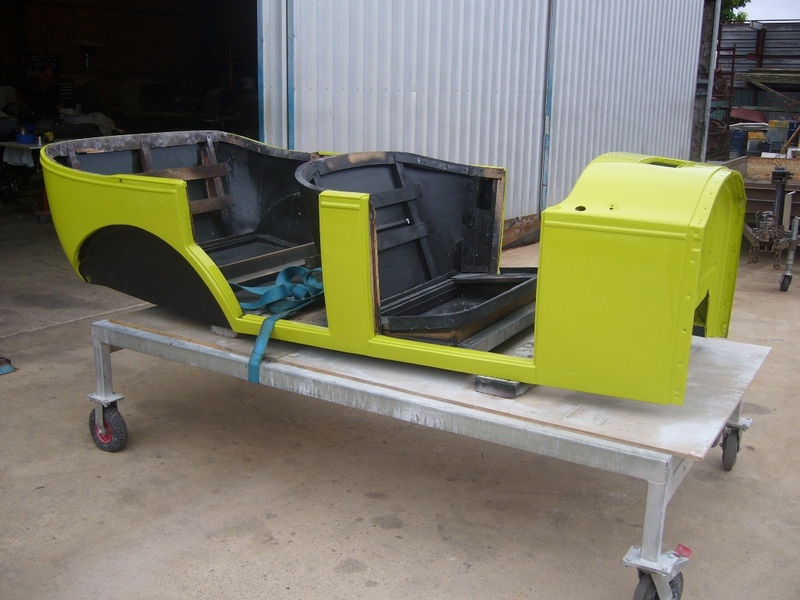 Body panel and paint work finished, ready to be lifted on the chassis. 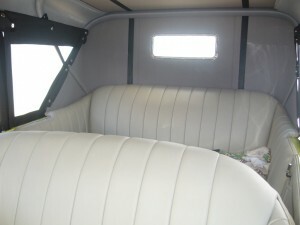 Front guards and valance panels fitted. Body ready for the trimmers.